Are you looking to save money on your next home purchase? Great news! This home qualifies for a No Closing Cost Loan saving you thousands on the purchase of this home. 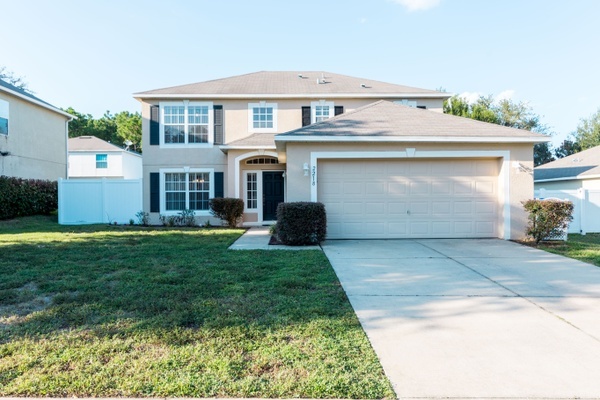 Come see all this home has to offer in the desirable community of Foxborough located in Tavares, America’s sea plane city! This very well thought out floor plan offers 4 very large bedrooms plus an exceptionally large master suite and plenty of living and gathering space for the whole family. A wonderfully laid out kitchen makes cooking a pleasure with a center island, two pantries, ample counter space, and sleek appliances. Located downstairs you have an office/den easily to be converted to a 5th bedroom with a nicely appointed bathroom. Master suite is located upstairs and provides walk in closest, Dual sinks, a glass framed shower and separate garden tub. Located in a quiet family oriented neighborhood, the back yard is fully fenced in and features a screened in Lanai. The community also has a central park for everyone to enjoy. You'll find Foxborough a delightful place to call home!!! Across the street from Tavares Crossroads Shopping Center perfect for your shopping and dining needs and located just minutes from Down Town Tavares.